Garfield Park station -- later renamed for Homan Avenue -- was typical of those built in 1892-93 for the Lake Street Elevated Railroad -- similar to stations at Ashland, Halsted and Sacramento, among many others -- designed by its engineering staff and built by the Lloyd and Pennington Company. The station had twin station houses and side platforms for boarding inbound and outbound trains. The station houses are designed in a Queen Anne style with a Victorian Gothic influence. The station houses had gabled roofs with two windowless gabled dormers each. Each roof was topped with a unique square cupola with a diamond pattern and a steeply hipped roof with a small gabled dormer in each of the four sides. These structures represent a unique attempt to apply the Queen Anne architectural style. The station had side platforms, covered by tin-covered peaked-roof canopies supported by a row of steel center posts. The posts had decorative elements cast into them, most notably in the top angle bracket that supported the canopy braces. 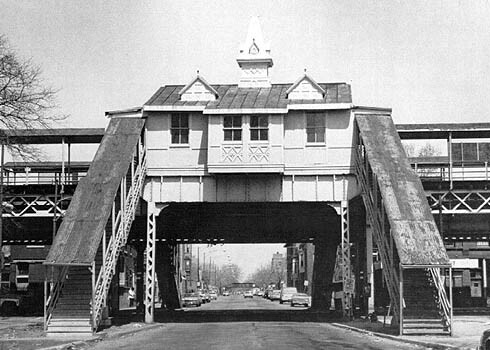 The Lake Street Elevated stations also originally had elaborate railings on the platforms with decorative scroll metalwork. When the Green Line, which includes the Lake Street "L", was closed in 1994 for renovation, this station was shut down. When the line reopened for service in 1996, Homan did not. It sat boarded and abandoned on the elevated trestle, its roof rusting away and its trackside face covered in graffiti. The track-level station sides bore ironic signs that said "NOT A STATION", instructing motorman not to stop. In 1997, the CTA unveiled a plan to deconstruct the station and reassemble its outer shell two blocks west at Central Park Avenue, which would give the line's stations proper spacing, but which lacks a bus route (but which Homan has). (Links to articles can be found below.) 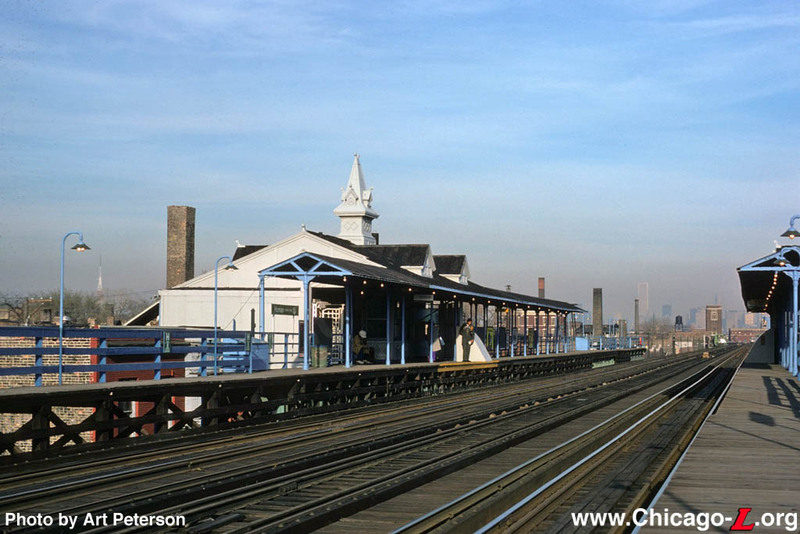 Marcel Acosta, then-CTA Senior Vice President of Planning, stated that the CTA was in negotiations with the Illinois Historic Preservation Agency at that time as to whether their plans conform to the station's historic landmark stipulations. 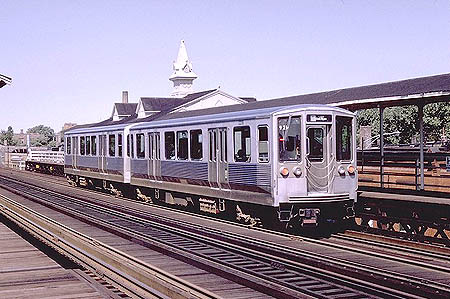 On September 15, 1999, the CTA finally announced a timeline to relocate the historic Homan station house to Conservatory Drive to serve visitors to the Garfield Park Conservatory. 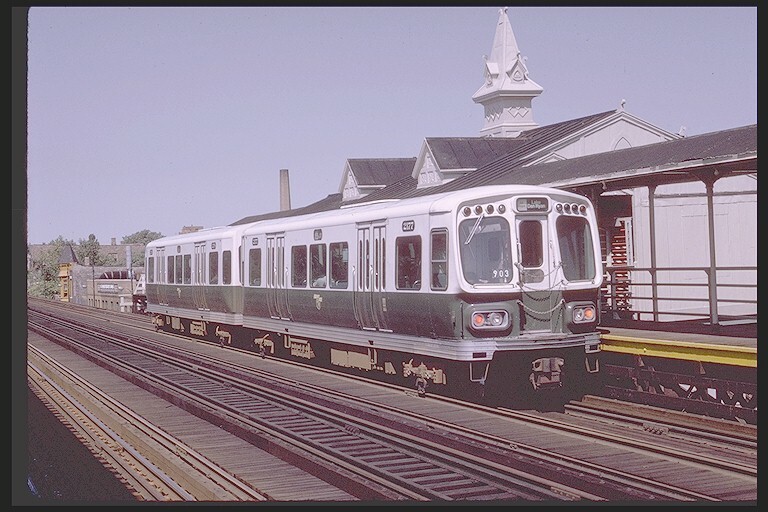 The structure would be restored and rebuilt with all the modern amenities and in the same architectural style as the Ashland Green Line station. These amenities include elevators, tactile edging, an ADA graphics package and audiovisual signs that alert customers when trains are approaching. 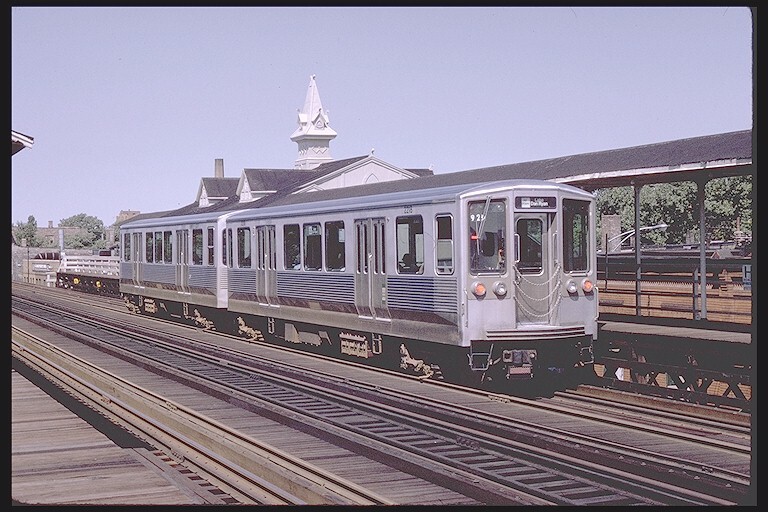 Homan station was completely deconstructed in spring of 2000 and put into storage to be later reconstructed at Central Park. All that remains are the four columns, one on each street corner at Homan and Lake, that once supported the station house over the intersection. The Conservatory-Central Park station, with its reconstructed station houses from Homan, opened in June 2001.